McLaren & Lee is a law firm of skilled and experienced attorneys with almost 70 years of combined experience in the areas of complex marital and family law litigation and trial work including marital and prenuptial agreements, divorce, annulment, alimony, property and debt division, child support, child custody, paternity and related appeals, as well as alternative dispute resolution including mediation and arbitration. The statewide practice of the attorneys at McLaren & Lee is supported by a dedicated staff, including paralegals with many years of experience. The firm also has an extensive library, access to a number of on-line databases and experts, technologically advanced case management systems and other computer resources. The attorneys at McLaren & Lee are both Certified Fellows of the American Academy of Matrimonial Lawyers (AAML), having met the stringent admission requirements of the AAML. The 1600 AAML Fellows across the United States are generally recognized by judges and attorneys as Family Law practitioners with a high level of knowledge, skill and integrity. The partners in the firm, Jim McLaren and Dixon Lee, are both listed in the Best Lawyers in America and Super Lawyers publications and have received the highest rating ("AV"), individually and as a firm, afforded for legal ability and ethics, in the Martindale-Hubbell Legal Directory. Our attorneys are dedicated advisors and advocates who represent individuals in all facets of family law at both the trial and appellate level. These areas include divorce, property division, custody and support issues, and business valuations. McLaren & Lee attorneys are well versed in the subtleties of the law. We are experienced and innovative negotiators. We are also seasoned litigators, experienced in complex family law disputes. Many of our appellate cases have created important precedent in the State of South Carolina . While best known for our representation in complex and difficult cases, we represent a range of individuals with family law issues. We are committed to being effective advisors to and advocates for all our clients. McLaren & Lee offers a comprehensive range of family law services from advice and counseling on the most sophisticated and complex business and legal issues to negotiating agreements, mediating disputes, litigation and appeals including: -Pre-marital, post-nuptial and marital settlement agreements -Divorce -Child Custody and Support -Spousal support -Property Distribution -Attorney Fees and Costs Our attorneys endeavor to exhibit and maintain a high level of professionalism, competence, creativity, and civility. Blending our experience and complementary abilities, we have the capacity to create and implement effective strategies and winning solutions for our clients' most challenging legal problems. Equally important, we share a tradition of excellence and a commitment to our clients to resolve issues aggressively, with minimal disruption to their lives, while maintaining utmost client confidentiality. While we excel at negotiation, and most of our cases are resolved privately, we also have the in-house capacity to handle complex litigation on behalf of clients, if necessary and appropriate. Our attorneys have significant trial and appellate experience and have been leaders in shaping family law. We take an active leadership role in professional organizations and local and national bar associations. At McLaren & Lee all of the firm's partners have received "AV" rating, the highest available, in Martindale-Hubbell Law Directory, a nationwide publication which independently rates lawyers on the basis of their peers' opinions. The lawyers have published many articles and have been invited speakers at numerous legal seminars throughout the State and Nationally. Jim McLaren and Dixon Lee are both listed in The Best Lawyers In America and Super Lawyers publications. James T. McLaren has been listed in The Best Lawyers in America for nearly two decades. He is listed in the S.C. Super Lawyers publication under the Family Law designation. He and his firm have received the highest rating ("AV"), afforded lawyers for legal ability and ethics, in the Martindale-Hubbell Legal Directory. 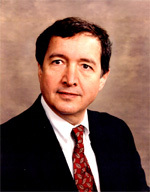 His statewide practice primarily involves complex matrimonial litigation and trial work in addition to dispute resolution including mediation and arbitration as an American Academy of Matrimonial Lawyers - Certified Mediator and Arbitrator. He has held numerous positions affiliated with Family Law including admission as a Fellow in the American Academy of Matrimonial Lawyers, where he is currently serving as National Vice President and on various committees. He has served as President of the South Carolina Chapter and National Delegate. He is a Diplomate in the American College of Family Trial Lawyers. He has served as chair of the Family Law Sections of the South Carolina Bar, the South Carolina Trial Lawyer's Association (now the American Association for Justice), and the Richland County Bar Association. He is a longstanding member of the Family Law Sections of the American Bar Association, the American Association For Justice, the South Carolina Bar, the South Carolina Association For Justice, and the Richland County Bar Association. Mr. McLaren has authored numerous articles and has been a speaker in over 86 Family Law Continuing Legal Education Seminars, including state and national Judicial Conferences and New Family Court Judges Schools. He also co-authored important Legislation that impacts Family Law in South Carolina. C. Dixon Lee, III has been listed in The Best Lawyers in America and S.C. Super Lawyers publications. He and his firm have received the highest rating ("AV"), afforded lawyers for legal ability and ethics, in the Martindale-Hubbell Legal Directory. His statewide practice primarily involves complex matrimonial litigation and trial work, with an emphasis on Family Law Appeals to the South Carolina Court of Appeals and Supreme Court. Mr. Lee has been involved in 54 appeals resulting in published opinions as well as many other appeals resulting in unpublished decisions. He is also involved in mediation and arbitration of family law matters. 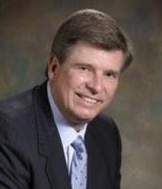 He has held numerous positions affiliated with Family Law including admission as a Fellow in the American Academy of Matrimonial Lawyers, and has been instrumental in the drafting and adoption of the South Carolina Child Support Guidelines. He is a longstanding member of the Family Law Sections of the American Bar Association, the South Carolina Bar, and the Richland County Bar Association. Mr. Lee has authored numerous articles and has been a speaker in many Family Law Continuing Education Seminars, including Judicial Conferences and Mandatory Continuing Legal Education Seminars.